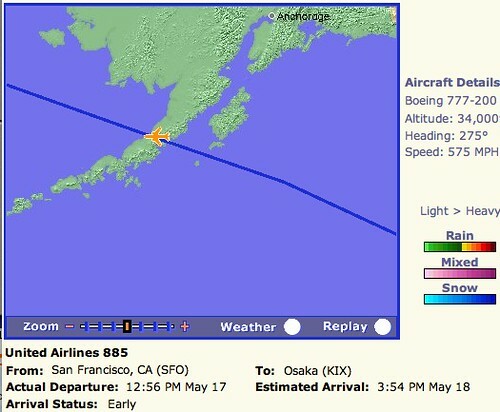 Our oldest daughter, as I write this, is over the Aleutian Islands. After months of preparation, weeks of Japanese classes, days of shopping and hours of packing, Talli left early this morning with a group of 17 students from her school as exchange students to Wadayama, Japan. She’ll be gone until Memorial Day, and I’m hoping this exposure to the world shapes her life in amazing ways! 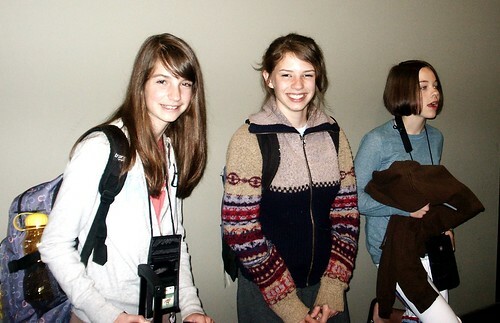 Seven out of the 17 are from local Friends churches, including Talli (left), Olivia (center) and Anna (right). (I used to think Talli looked a lot like me, but I’m seeing more of her mom in her as she gets older. And she is definitely getting older!) We’re not too freaked out about her being halfway around the world living in a host family’s home. A lot of that is because she is so amazingly UNfreaked out about this experience. I’m so amazed at who she is becoming; confident, kind, gifted. Yesterday, less than 12 hours before we left the house for the airport, she ran in the district track meet in Silverton, the last meet of the year. She has had an awesome year running. 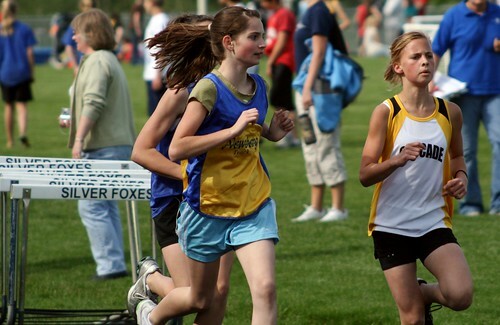 Her coaches were gushing early in the year about her marked improvement over last year, and no seventh grader beat her in the 1500 meter or the 800 meter all year long…until last night. She was not a happy camper about that. I think the Japan trip made it too hard for her to focus, but she still came in second place in the 7th grade division and sixth place overall in the combined 8th grade and 7th grade final of the 1500. If you think of it over the next 10 days, pray that God will shape her and bless her through this trip to experience Japanese culture…and we’ll try not to miss her too much. The essence of your face in her face. All of the exchange experiences I have had have been so valuable in my life, whether my week at the high school in the next town or my year in Colombia between high school and college. For me, the enormity of what I was doing each time didn’t hit until much later. The enormity of what my parents were doing, in letting me go, didn’t occur to me until I already had children. What a blessing for all of you to trust, to be willing, to take up the opportunities that are placed before you. And I bet she has a lot of fun.